By the end of April 2016, AMA Waterways will be operating 21 river cruise vessels with another due out in 2017. They were founded as Amadeus Waterways in 2002 and shortened their name to AMA Waterways in 2008. 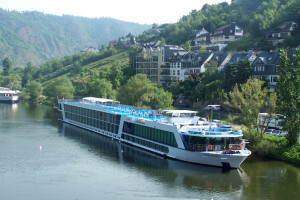 This US-based company cruises the rivers throughout Europe, Vietnam, Cambodia, Myanmar and Africa. The AMA Waterways employment pages currently don’t list any on board employment opportunities on their website. Applicants may send their resumes to jobs@amawaterways.com. Additionally, AMA Waterways uses Sea chefs as their hotel concession and RiverTech for technical management. Sea Chefs lists a number of current vacancies on their employment pages complete with job requirements and scope of duties. Complete and submit an online application through the Sea Chef website.